Historically, clinical neuroradiology has focused on brain anatomy to characterize and diagnose abnormalities of the central and peripheral nervous system. More recently, our scientific understanding of normal human brain function has increased exponentially thanks to advanced MRI technology available to most neuroradiologists. 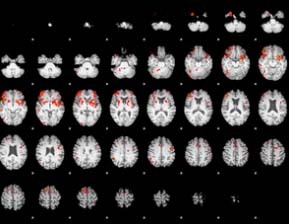 The broad goal of the laboratory is to move established functional neuroimaging research techniques towards future clinical utility. We focus primarily on the techniques of blood oxygen level dependent (BOLD) functional MRI (fMRI) and diffusion tensor imaging (DTI), with specific application to mild traumatic brain injury, movement disorders, and autism.